Auction Decorating: X-stools are TOO chic! I have to revisit X-stools periodically because they are so chic, and auctions have great offerings on a regular basis. The X-stool can be squeezed in anywhere, and is both decorative in themselves as well as extra seating. I love the idea of finding X-form legs that have some interest - maybe a curl in the leg, a rosette detail, or perhaps an interesting material. This is a classic X-stool shape. This was sold at Christie's in New York. It was described as an Italian neoclassical walnut curule stool made in the early 19th century. The seat is covered in leather which adds a masculine feel. This stool would be great in a study or family room. This sold for $563 off an auction estimate of $800 - $1,200. These are very smart looking! The legs have added interest, and I wouldn't change a thing about the green velvet upholstery. These are 20th century, and made of cream painted with parcel gilt decoration on the legs. These sold at a Christie's auction for $1,875 off an estimate of $3,000 - $5,000. 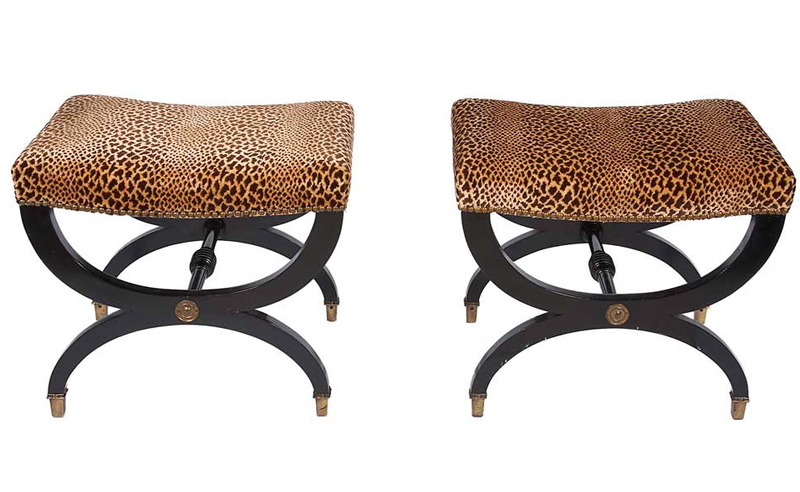 Adding a touch of faux animal upholstery to your decor is very chic, and these stools would be terrific. These sold at a Doyle New York. They are described as black lacquer Empire style with faux leopard. They also have nice brass detailing at the X and on the feet. These sold for $3,125 off an estimate of $800 - $1,200. 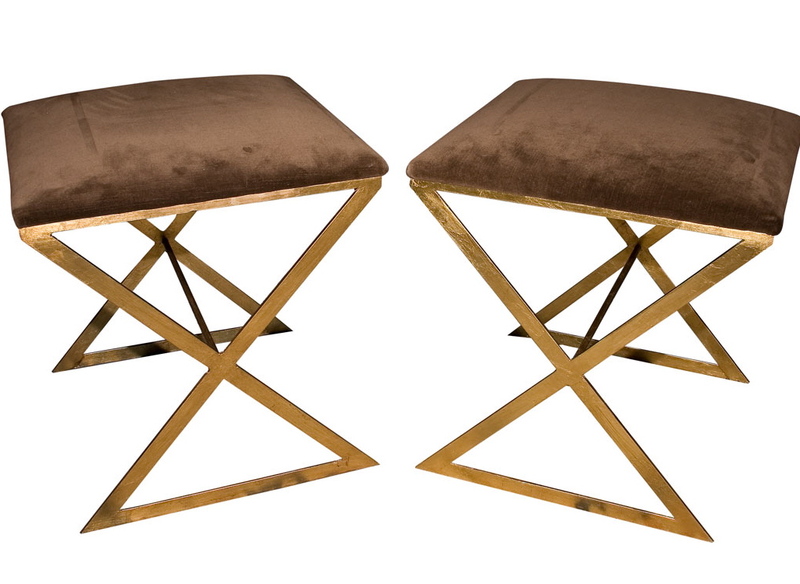 For something with a modern vibe I like these gilt metal X stools with the brown suede seats. These also sold at Doyle New York. They had an auction estimate of $500 - $700, but sold for $1,625. 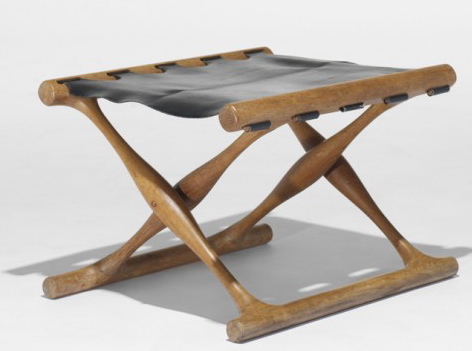 I always like to check out Wright auction in Chicago for modern pieces. 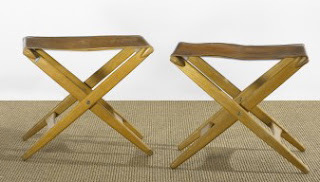 These X stools are by Osten Kristiansson (Denmark, circa 1970). They are made of leather, oak, and brass. They sold for $1,875 off an auction estimate of $3,000 - $5,000. For space savers, these fold up, so they are stylish and extra practical as well! The subtle detailing in the shape of the legs gives this more interest. This also sold at a Wright auction. 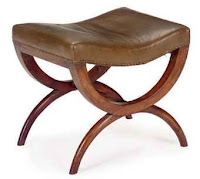 The designer was Poul Hundevad (Denmark, circa 1950), and it is made of teak and leather. These sold at one of Wright's Mass Modern auctions for $563 off an estimate of $300 - $500. So whether modern or classic, X stools are always a chic addition to almost any room. They serve as extra seating in the living room, or a pair at the end of the bed make a great place to sit down to put on your socks. 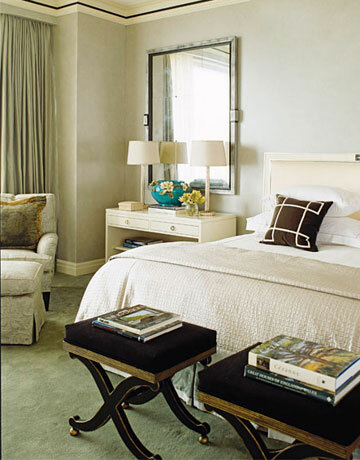 They can be a design statement too, so pick a style that has that little extra interest in the materials or the shape. Indeed they are! But are they comfortable too? Not sure I'd call them comfortable. They are just great and chic extra seating when you need it, or maybe to put your feet on!